What Kind of Plant Does the Mosquito Hate? Citronella is an annual plant that grows approximately two feet and has a distinctive fragrance. The citronella geranium plant is sometimes referred to as the mosquito plant because of its mosquito-repellent effect. Citronella should be planted in a location that offers full sun of at least six to eight hours a day. The soil should be well drained with a pH level of 6.5. The soil should also have good air circulation. Fertilizer that is high in nitrogen and potassium should be added to the citronella plant twice a year. The geraniums can be stunted and yellow if there is not a good source of nitrogen available. Water the plant regularly with two to three glasses of water, making sure to wet the ground deeply. Wait for the soil to dry before watering again. Apply a wide-range insecticide near the plant, away from new buds. Use fungicide early in the season to get rid of bugs. Measure the plant. Cut back approximately one-third of the height. The best time to do this is in September, just before the plant slows down for winter and you bring it indoors. Position the shears at a 45-degree angle to the branch you want to cut, just above a "node" or where a leaf extends from a stem, and snip. Repeat this cutting across the top of the entire plant. The top should now be flat, almost like a hedge. Remove the bottom leaves from some cuttings and place them in small pots filled with rooting medium if you would like to propagate your plant. Place the freshly-trimmed plant in a sunny location, and it will start to re-grow in a few days. Plant marigolds throughout your vegetable garden for a natural insect repellent that will also add splashes of color all summer. The fragrance of the marigold blossoms is not attractive to insects, so plant them in containers around your deck or patio for added protection. Marigolds are annuals that you can grow from seeds in containers or directly in your garden. Marigolds range in height from less than 1 foot to giants that grow more than 4 feet tall. Widely accepted as a mosquito repellent, citronella plants are annuals or tender perennials. Hardy in zones 9b through 11, citronella plants have beautiful lavender/violet blooms and aromatic foliage. Citronella is evergreen in the appropriate zones and blooms repeatedly. You can grow this plant indoors in containers or around the perimeter of your deck to keep mosquitoes at bay. You can propagate citronella plants in water or soil from stems of a healthy plant. You can also sow citronella seeds indoors before the last frost. Catnip is a hardy perennial herb that is part of the mint family. It is also a powerful mosquito repellent when planted in your garden. Catnip enjoys full sun and is hardy in zones 3a to 9b. Begin catnip plants from seed in the fall for dense plant growth or from seeds in the spring for less foliage. The plants grow up to 4 feet tall and have small lavender flowers that grow on spikes. Catnip also has medicinal benefits; its oil is used to relieve headaches and nervousness. Choose a citronella plant carefully. Citronella is really a perennial ornamental grass. Do not buy a citronella-smelling plant, which is really a geranium. Check the tag to make sure the plant is Cybopogon nardus or Citronella winterianus. Propagate the plant by separating clumps of the grass and replanting them. The best time to do this is before winter. Keep a few small clumps inside so they are ready to plant when it gets warmer. Pick an appropriate site for your citronella plant. Citronella needs full sun to thrive, although plants can tolerate some shade. The plant doesn't grow well when the soil is too wet. Citronella has trouble with cool, damp winters and requires a long, warm growing season. Often Citronella can be moved inside and be replanted in the spring. Get the outdoor site ready by tilling the soil. Make sure the soil drains well. If necessary, add in peat moss, sand or topsoil to improve drainage. If the citronella plant will be growing in a pot, add in all-purpose potting soil. Place the plant in an area that gets plenty of sun and is not too wet. This grass can grow up to 5 or 6 feet tall. Be aware that Citronella grass does not keep mosquitoes away by simply planting it in your yard or in a pot. Instead, oil from the plant is mixed with other oils and works as a repellent when applied on the skin. Pure citronella oil should not be placed on skin; even mixed, the oil can cause rashes. Citronella forms clumps that reach 6 feet in height. The grey-green leaves are approximately 1 inch wide. Citronella needs ample amounts of water—at least 30 inches per year. It grows best in full sun. Perennial in zones 10 through 12, citronella grass will die back in areas of cool, wet winters. It can be grown in pots in cooler climates and brought indoors to overwinter. The oil extracted from citronella grass has mosquito-repellent qualities and is an ingredient in many commercial bug repellents. Plant citronella grass near a patio or walkway where the pleasant scent can be enjoyed. 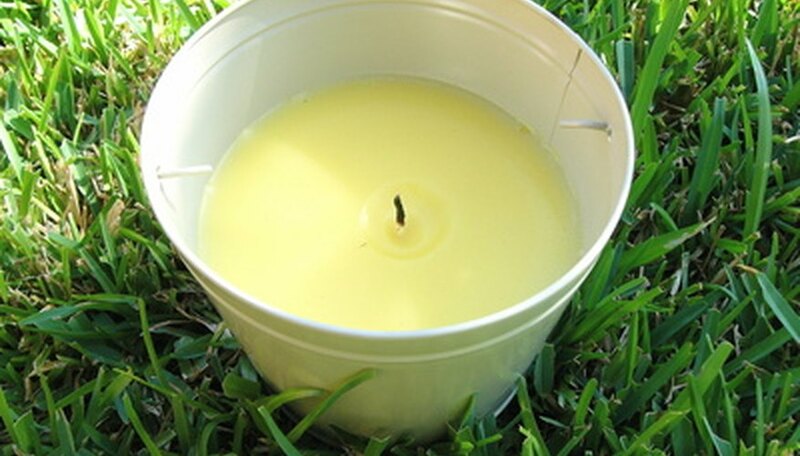 Citronella has a refreshing, citrus-like scent that is used in soaps, candle making and the home fragrance industry. Often marketed as "the mosquito plant," citronella geraniums (Pelargonium citrosum) are not related to citronella grass, but their lemony scent may repel mosquitoes. Mosquitoes hate plants containing the natural compound called citronella oil. Some plants containing this oil are lemon grass, lemon thyme and a species of geranium known as mosquito plant or mosquito shoo. However, the plant alone does not repel mosquitoes. The leaves must be crushed, releasing the citronella oil. Essential oils from the citronella grass plant are heralded as mosquito repellents. Scientists believe the terpenes in citronella oil block neural pathways in mosquitoes and other insects. Commercial products focusing on citronella's mosquito-repelling qualities include sunscreen, pet collars, candles and even clothes. The oil is also being used to repel other pests that attack food. Citronella oil is used on food packaging. The essential oils in citronella have a sweet lemony smell. 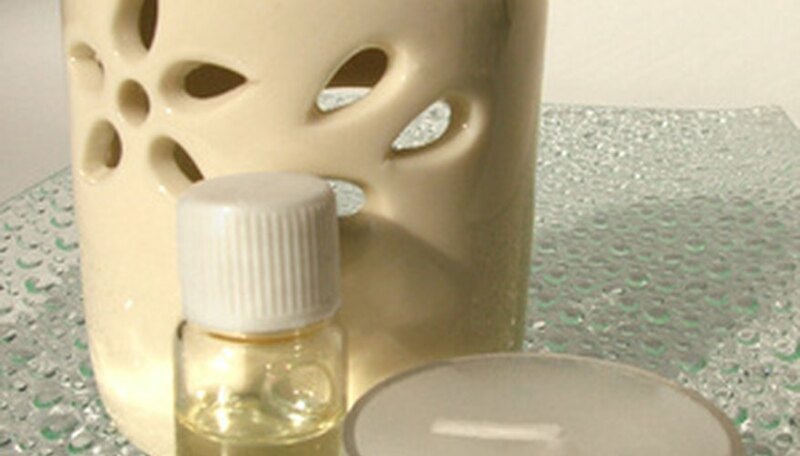 Aromatherapists use citronella oil to combat mild depression, lessen headache, migraine and rheumatic pain. Citronella oil can be mixed with rose oil to create a pleasant aroma. Aromatherapists use the oil for stimulating the whole body and balancing the nervous system. Citronella oil has been used in cosmetics for more than 50 years, according to author,Valerie Ann Worwood. 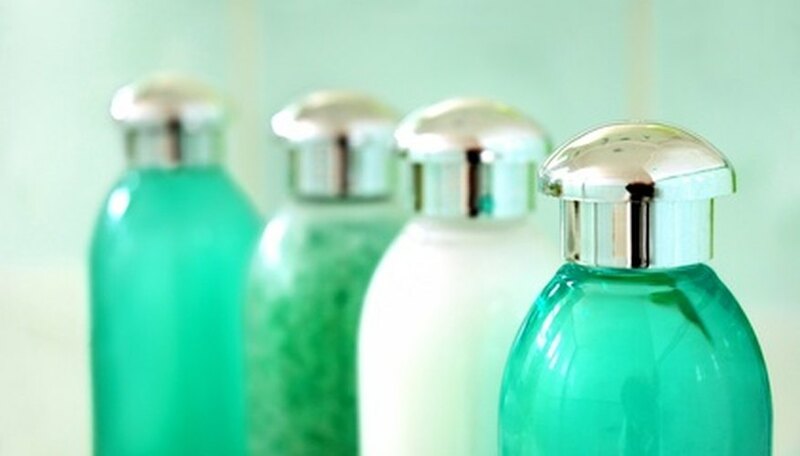 The essential oil is used in lotion, sunscreen, massage oil, bath gels and soaps. The essential oils of citronella are extracted by steaming the crushed grass shafts. The oil has strong antiseptic qualities and can be used by itself to clean. The citronella plant grows well in containers or in a sunny spot in the garden. It is cold-intolerant, so plant it after all danger of frost has passed. This plant is sometimes sold in nurseries as a "mosquito plant," or Pelargonium citrosum. Despite marketing claims that the plants will protect against mosquitoes, university studies cited by the University of Nebraska-Lincoln Extension have proven otherwise. Online shoppers can find citronella plants at Hirts Gardens, Amazon and FragrantFields websites. Because the plant is erroneously marketed as a mosquito repellent, if you live in an area that is troubled with mosquitoes your local gardening center may carry the plant. If not, ask if it can be special ordered.